Master Of Design four-year-old Gelding, Cash Crisis opened at $6.00 and drifted to $8.50 after Gasworx was heavily-supported into betting favouritism, with the Widdison prepared runner settling outside of the leader, Wednesday Warrior before finishing a game 2nd on this occasion. 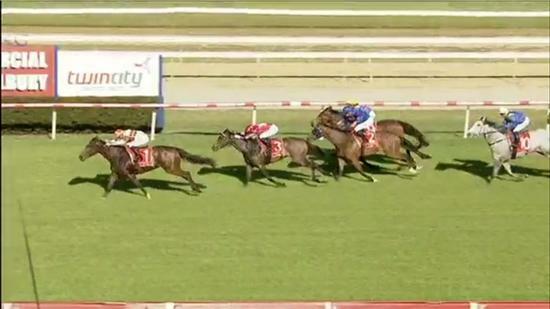 The gelding finished a close-up third in his first-up run this campaign at Wangaratta, and was putting in a solid effort here before being grabbed late by Vinnie Vegain the concluding stages. Cash Crisis stuck on well only to be beaten by one-and-a-half lengths by the winner, with Lock The Doors at big odds arriving in third, and should improve off the back of this run next time out.